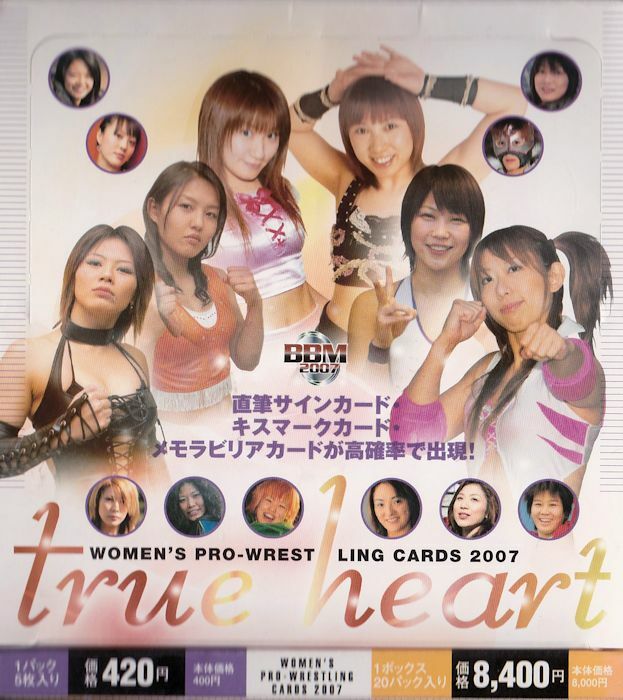 True Heart Women’s Pro-Wrestling Cards is an annual card set released by BBM in Japan. The set includes wrestlers from all the major Joshi promotions at the time (as well as many of the small ones), along with special subsets and autographs as well. A box of cards with 20 packs retailed for 8,400 yen, and packs were sold for 420 yen. Seven cards are in every pack. 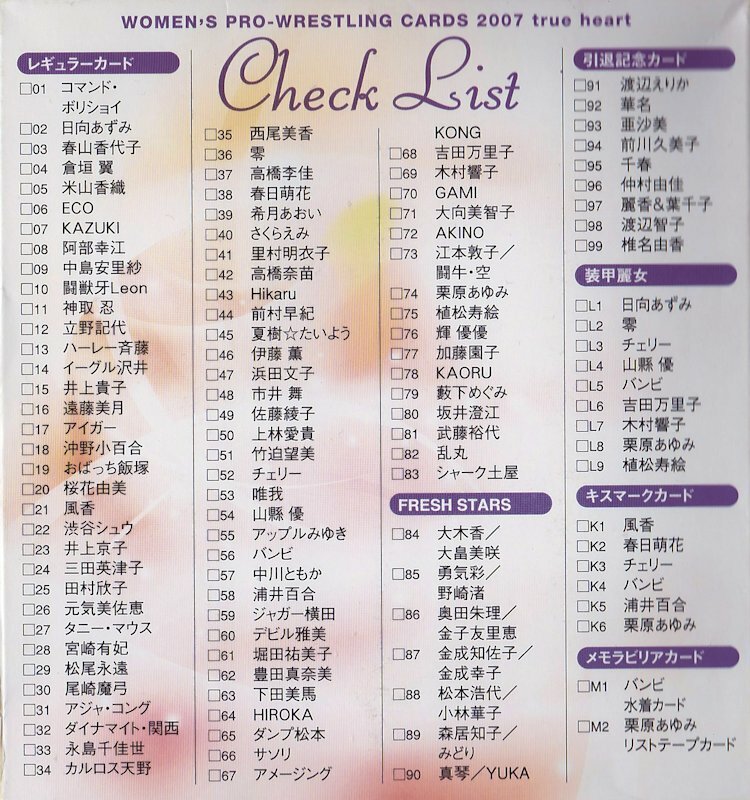 There are also an unknown number of autograph cards. The autograph cards have the same picture as the base cards, however they are signed and have a BBM stamp with a serial number on the back.